Graham Public Library now offers another online learning platform, Lynda.com. All you need is your library card number and your pin number associated with the library card. When you create your account on Lynda.com, you also need an email address.Click on the icon and explore all the topics offered. If you have questions, stop by the circulation desk at the library or call (262)878-2910. Graham Public Library now offers Free online courses. Go to Library’s website: www.uniongrove.lib.wi.us. Click on Electronic Resources page or Gale Courses link above. You will need to create an account with an email address and your library card. Choose your course and let the learning begin. Gale Courses available in cooperation with Lakeshores Library System, Racine Workforce Development and Walworth County Jobs Center. Donation may be dropped off or sent to Graham Public Library, 1215 Main Street, Union Grove, WI 53182. 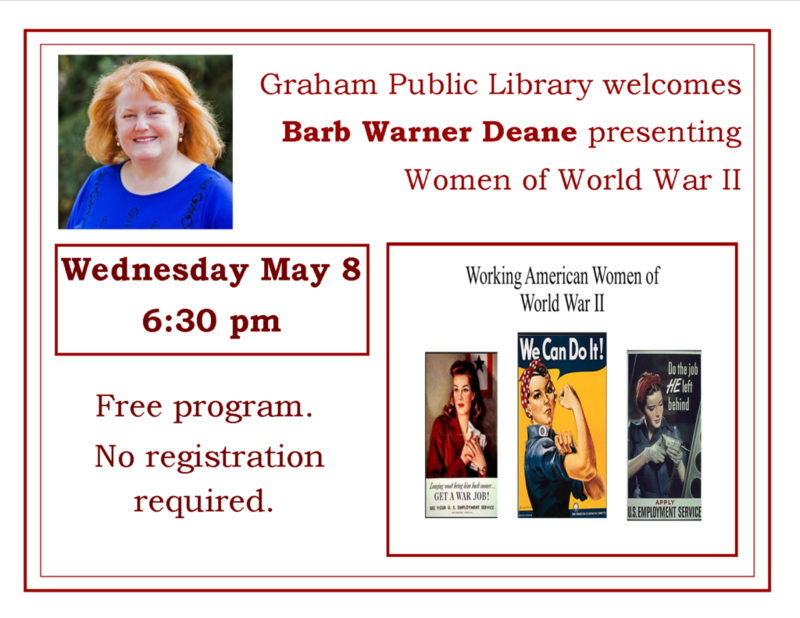 For more information, stop in at the library or call (262) 878-2910. Select Salem Press titles are available in printed book form in the library for checkout. Now the free online versions of these titles are also available. For access to the online version in the library, go to any public computer station and simply click on the Salem Press icon on the desktop. To log in remotely from home, click the SALEM ONLINE icon above and use grahampl as the remote passcode. "We always look forward to seeing you at the library"